The Traveller Solo Kayak is one of the most sleek, fast-moving one-person kayaks in the Solstice lineup. 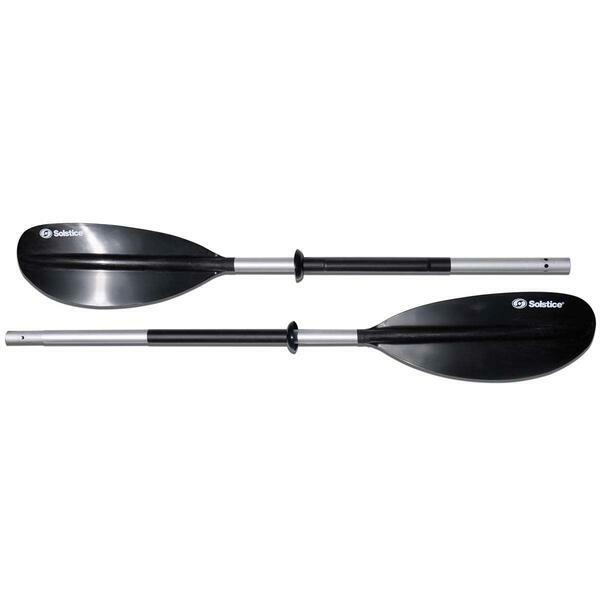 The Solstice kayak collection features all inflatable kayaks that are easy to inflate, transport and deflate. The Traveller is perfect for travelers, as it comes with a backpack carry bag, quick release paddle, pump and gauge. These accessories make it very easy for travelers to pack their kayak in a carry-on luggage item or take it on a low-key camping trip. 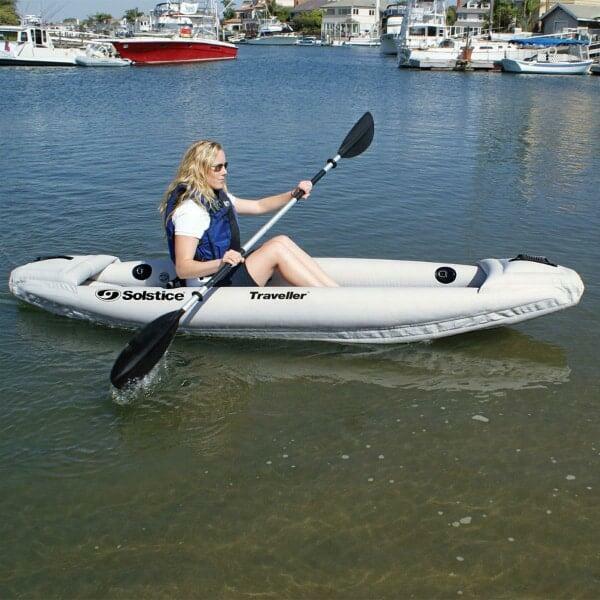 Kayakers don’t have to worry about lugging their boat around anymore, thanks to inflatable kayaks. And, the Traveller delivers a remarkably steady and safe ride, too. 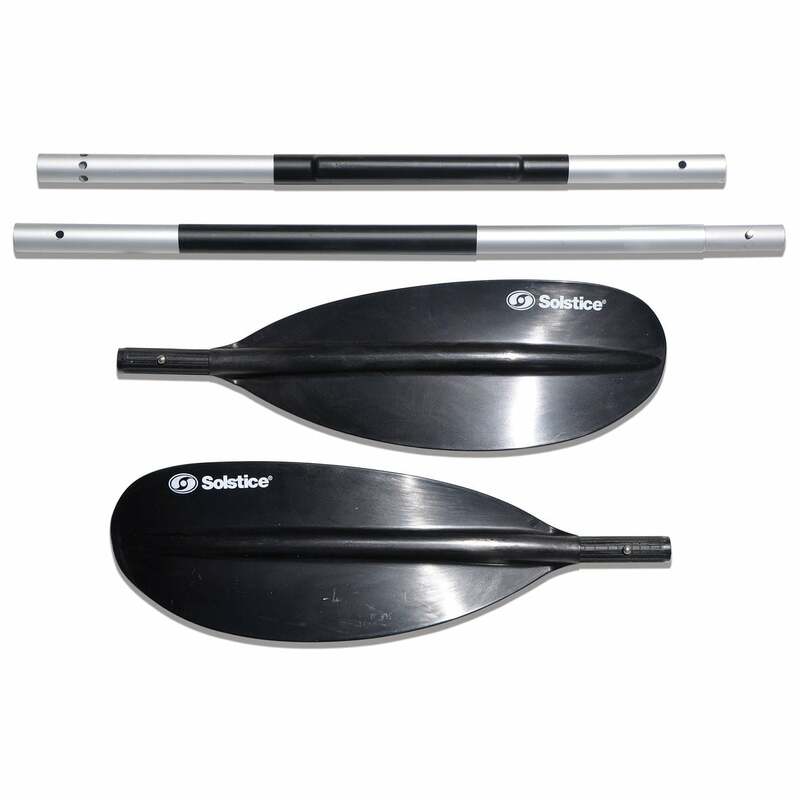 It features 3 high pressure chambers and directional strakes to create rigidity and increase the boat’s performance. The seat is made for comfort, complete with a padded backrest and an adjustable seat cushion. For the no-fuss kayaker on a low-key trip, the portable Traveller Solo Kayak is a sensible choice from Solstice.